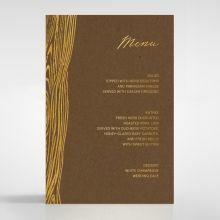 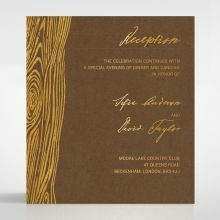 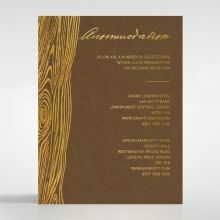 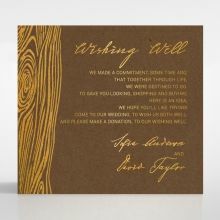 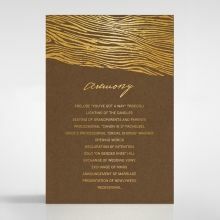 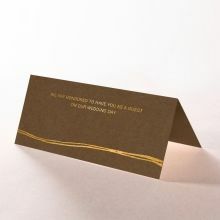 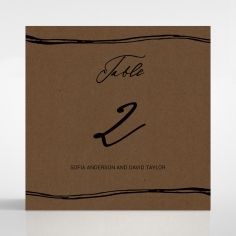 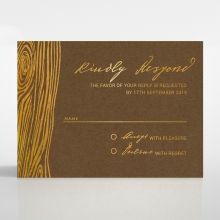 Simple yet stunning, this invitation will fit in seamlessly for your outdoor soiree or night time garden party. 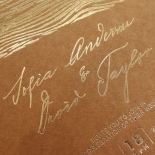 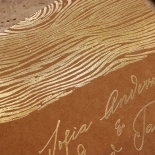 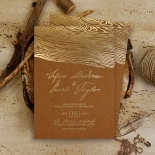 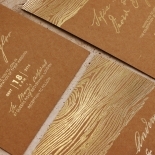 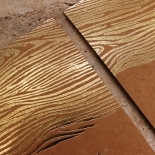 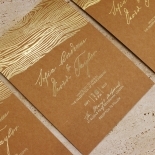 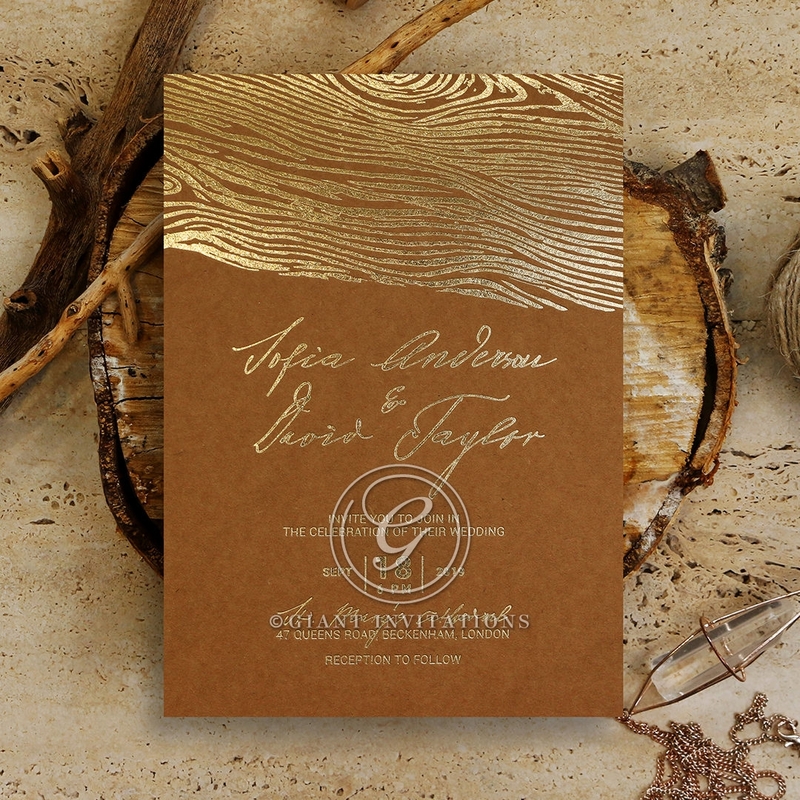 Timber Imprint, part of our highly anticipated 2017 luxe collection, features a gorgeous gold design beautifully hot foiled onto the finest quality cotton blended craft paper. 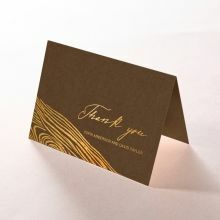 In this look, a minimalistic and modern design is given an air of indulgence from the gleaming finish. 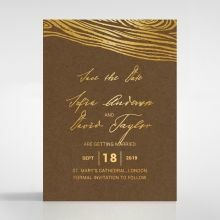 The text and font on this design is completely customisable and a full stationary suite is available from Save The Date all the way through to Thank You cards. 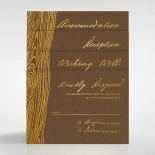 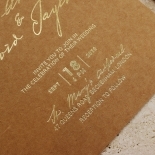 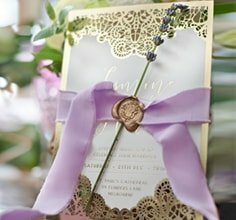 We are more than happy to create a custom paper band to flawlessly compliment your wedding invites and add that personal touch by printing on it your guest's names or your signature monogram.